In this article we are going to tell you how to remove write protection from SD card or USB, read the article thoroughly to know all the ways of removing write protection. Before explaining the method of removing write protection from SD card, let me explain what is write protection and how it works. Write protection is a type of device encryption, which protects the drive from Formatting, Moving files, Deleting files. Some devices come pre write protection from the manufacturer and it annoys many users, who are not familiar with it. Many devices come with write protection tab, which prevents drive from writing, although users can easily disable write protection by switch down the tab. So in this article, we will explain briefly how to remove write protection from SD card or pen drive. Almost all the regular computer users encounter to this error at least once in their life and very few users know how to overcome it. You are reading it because you also faced this error but now don’t worry you came at right place. Here is the solution for your query, let’s have a look on all the methods of removing write protection from the SD card or Pen drive. We will explain 4 methods in detail for removing write protection from SD card or USB, read all the methods deeply and solve your query using any method you would like. Let’s have look on these methods one by one. Use the steps given below to remove write protection from SD card, this is the most effective way of removing write protection. First of all Open CMD in your system: If you are using windows 7 or earlier then click on start menu > Search cmd > Right click on cmd and select open as administrator. 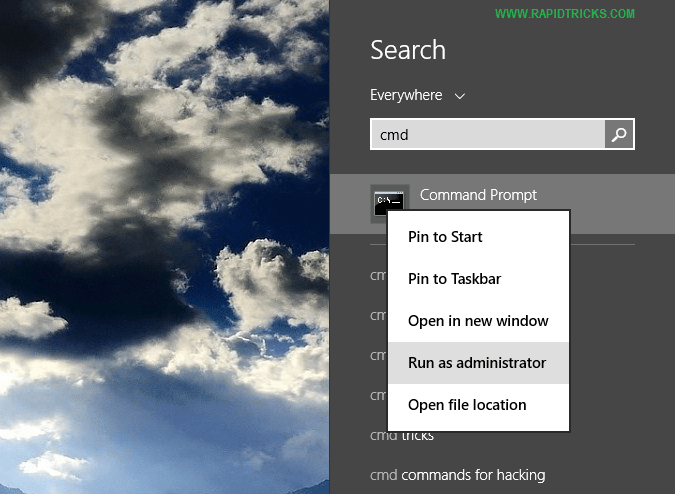 If you are using Windows 8 or above then move your mouse in the upper right corner and select search or click on the start menu for search the cmd in case of windows 10. Now after opening cmd, Type Diskpart and hit enter. Now type List Disk and hit enter. Type select disk 1 and hit enter(now your device will be selected). Now type Attribute disk clear read only and hit enter. Now type exit and hit enter(it will close the cmd). Now just go to your drive and format it normally. 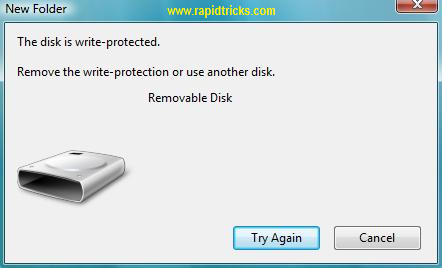 It will remove the write protection from your SD card or pen drive. 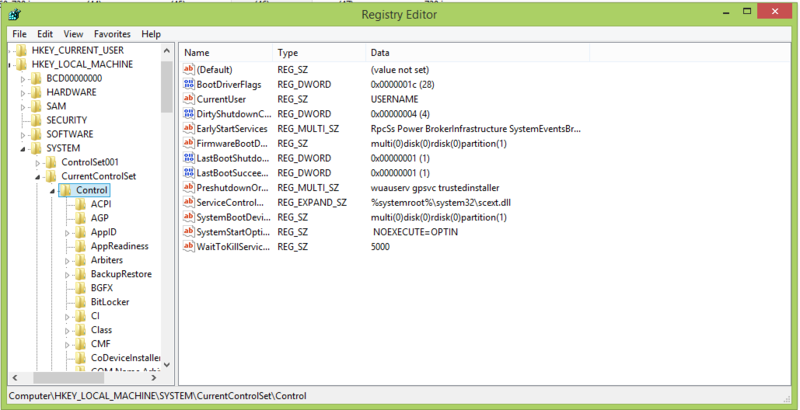 Open registry editor same as cmd, but here you will search for regedit instead of CMD. Here you will find write protection option, you have to select it and set its value to zero. That’s it, now read protection will be removed from the SD card permanently. Many Sd cards come with a write protection button on it, and also some micro SD card jacks come with the write protection tab. If the button remains on write protection side then you will see the error of write protected disk. To disabling the write protection you just need to change the button position on the device. Sometimes your device may suddenly start showing the message of write protection error while moving or deleting any file from the SD card or USB drive. Sometimes the reason behind this error is viruses mainly when your drive shows this error suddenly. You should scan your SD card or USB drive by using the best antivirus for your system. We will recommend you Norton antivirus for scanning your media drives. So the above-given methods are the best methods to remove write protection from SD card, USB, or any other media drive. Use the method according to your choice, and tell us in the comment below which method works for you. If you like this article then don’t forget to share it with your friends, you can show your support by sharing our post on social media platforms and like and follow our blog.